This new development provides 29 amenity flats for an older tenant group. 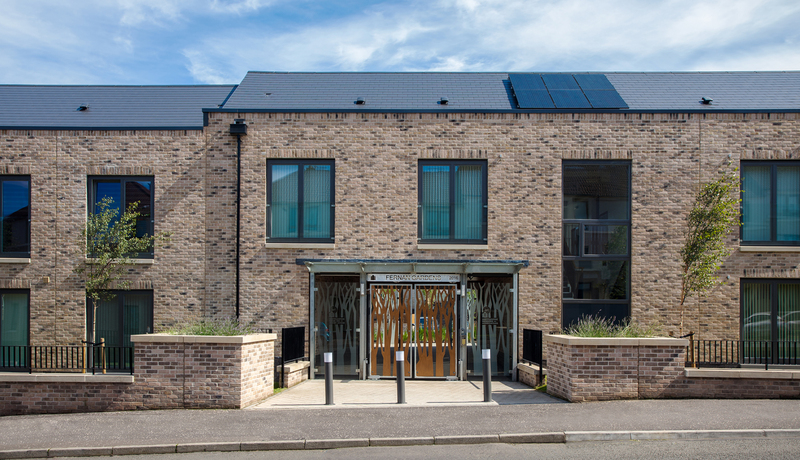 Four flats are fully wheelchair accessible and all of the homes incorporate a number of design features intended to enhance the quality of life of the residents in the development. These features include triple glazing, Heat Recovery Ventilation Systems, solar panels, secure car parking via remotely operated electric gates, and in a first for Shettleston Housing Association – communal Wi-Fi will soon be installed. All homes in the development surround a common courtyard which offers a space for residents to share. Residents in the ground floor flats also enjoy a private terrace area with raised planting beds, which have been built at a height that makes them convenient for residents to plant and work at. The residents in the upper flats benefit from balconies with glass balustrades.